Welcome to Anchor Point Apartments, an affordable, condo-style development located in the heart of Governor's Harbour, Eleuthera, in the beautiful Bahamas. The complex is comprised of two buildings: One contains 2 one bedroom apartments and two standard two bedroom apartments, while the other contains 2 larger, two bedroom apartment suites. All units are built with covered, outside balconies that offer fantastic views of Anchor Bay. 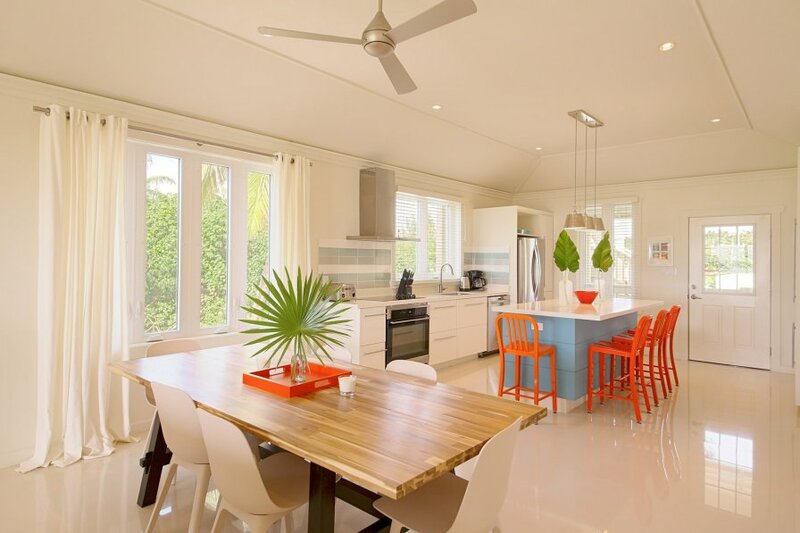 Our apartments are located in a prime location for exploring Central Eleuthera. We are located one block from the historic Haynes Library, and less than a 1/4 mile from Cupid's Cay, home of the Eleutheran Adventurers, and the site of the first Bahamian Parliament in 1746. Our place is in walking distance to the local food stores, banks (2 with ATMs), coffee shops, gift stores and more - But, if you want to really explore the island, it is best to rent a car. There are endless secluded beaches the length and width of the island, waiting to be explored!